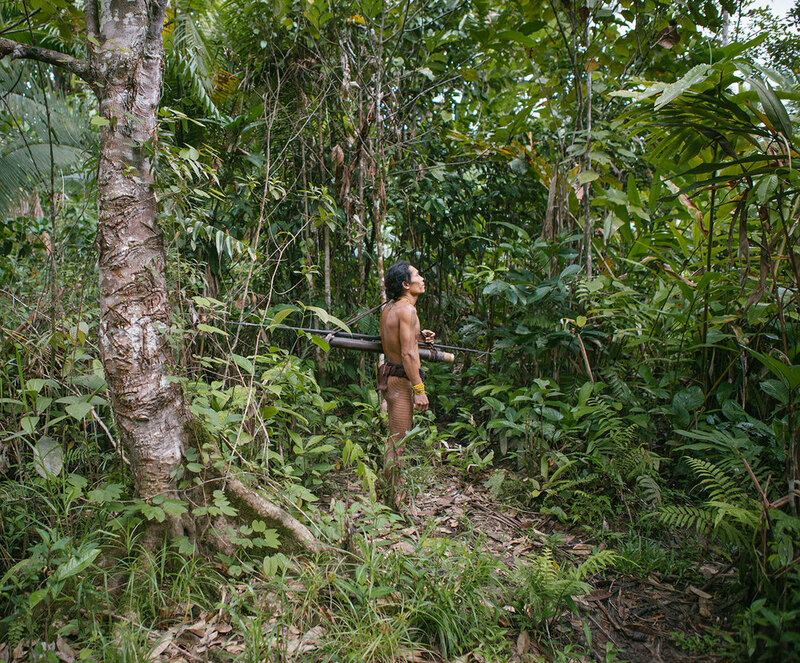 A Mentawai shaman on the hunt. 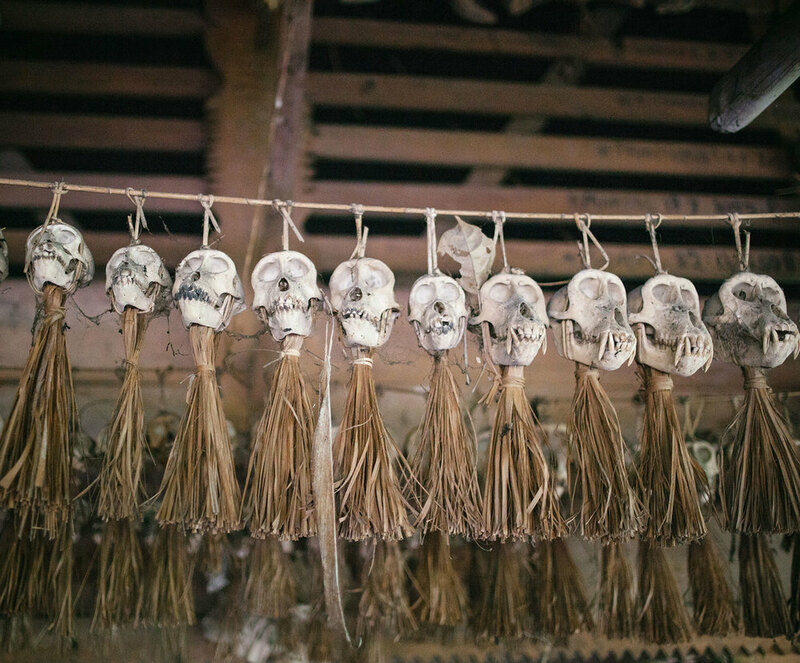 Monkey skulls hanging inside the uma, Mentawai traditional dwelling. 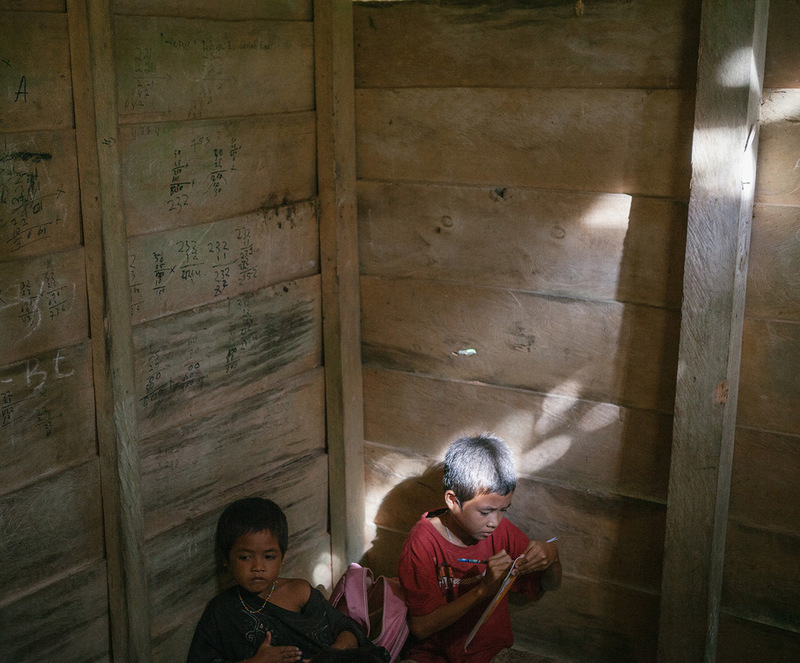 A Mentawai shaman in his house. 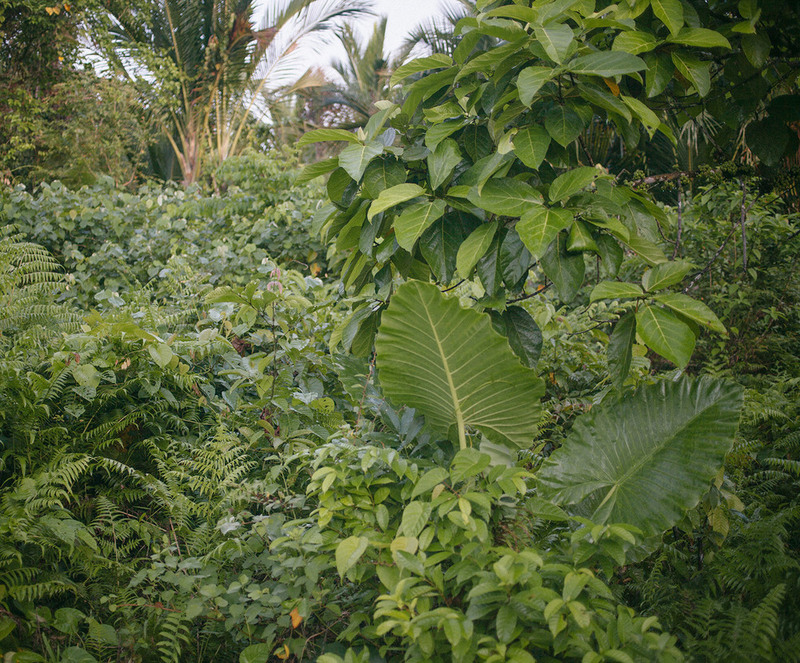 The jungle near the village of Buttui, Siberut. 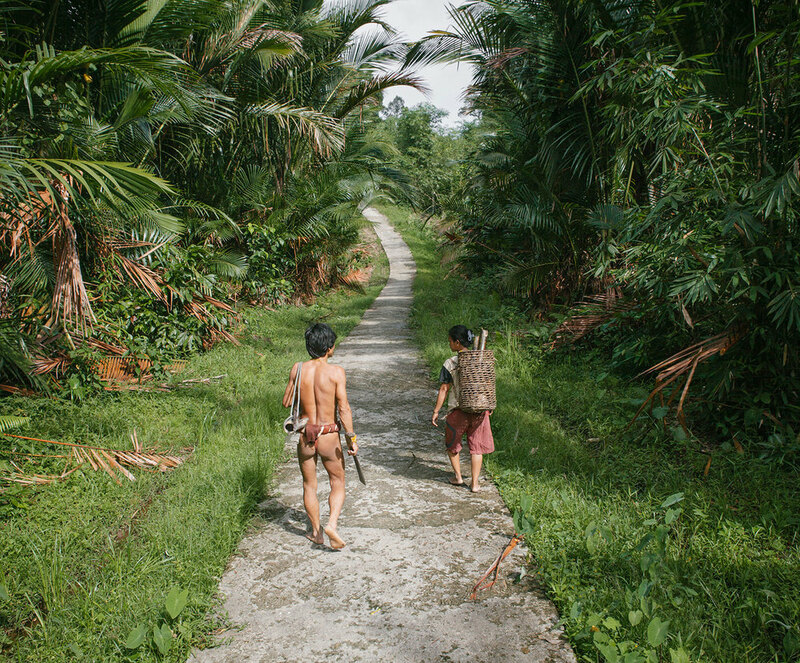 New concrete pathway connects villages at the Siberut interior. Aman Lao Lao, a Mentawai shaman. 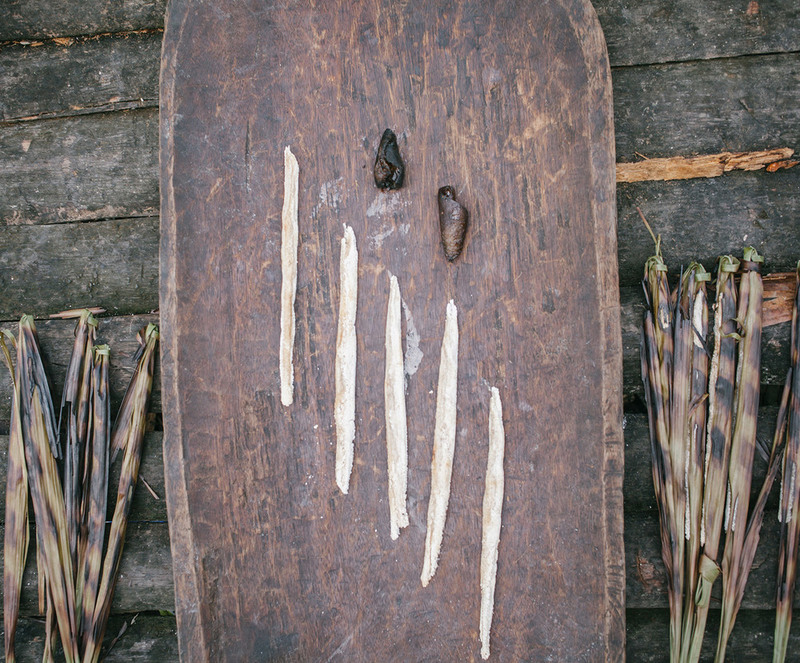 Sago, the Mentawai food staple. 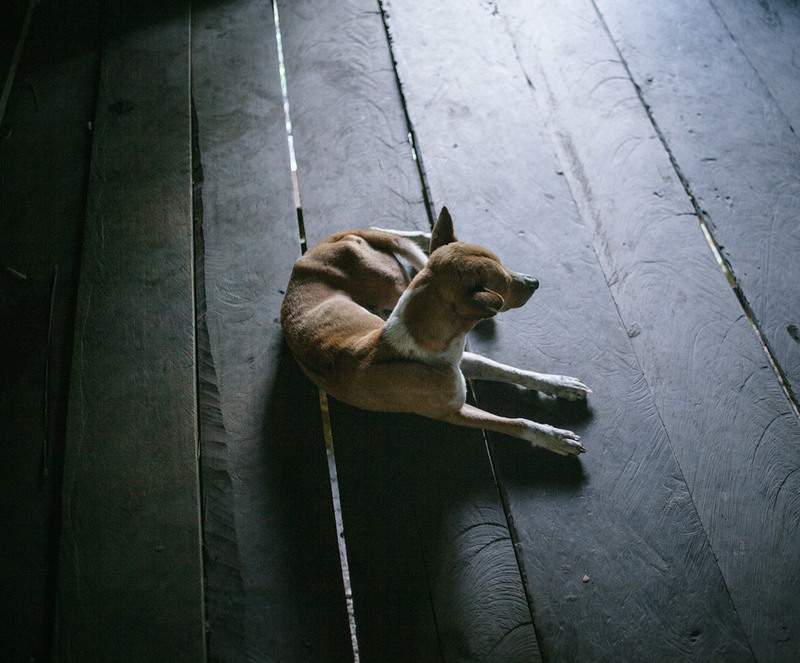 A dog considered part of every Mentawai family. 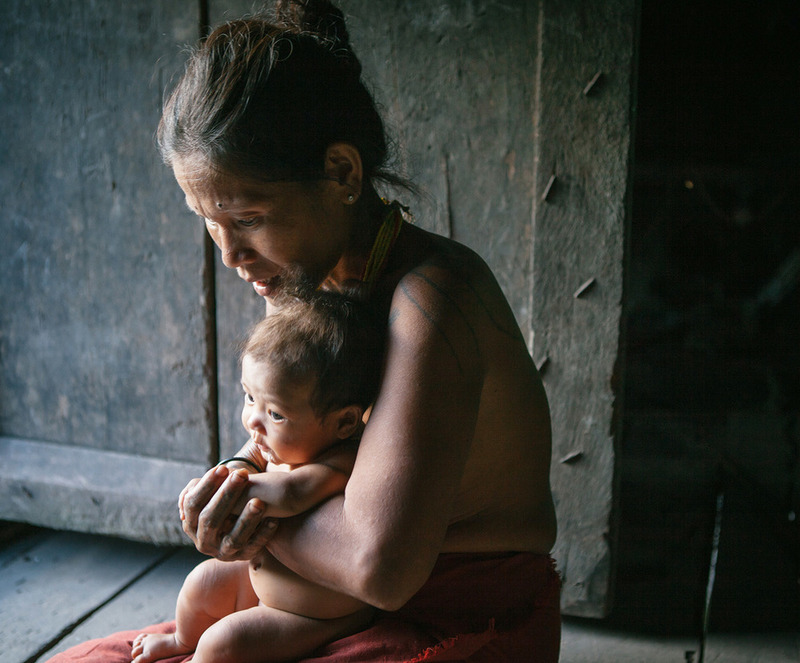 A Mentawai mother with her baby. 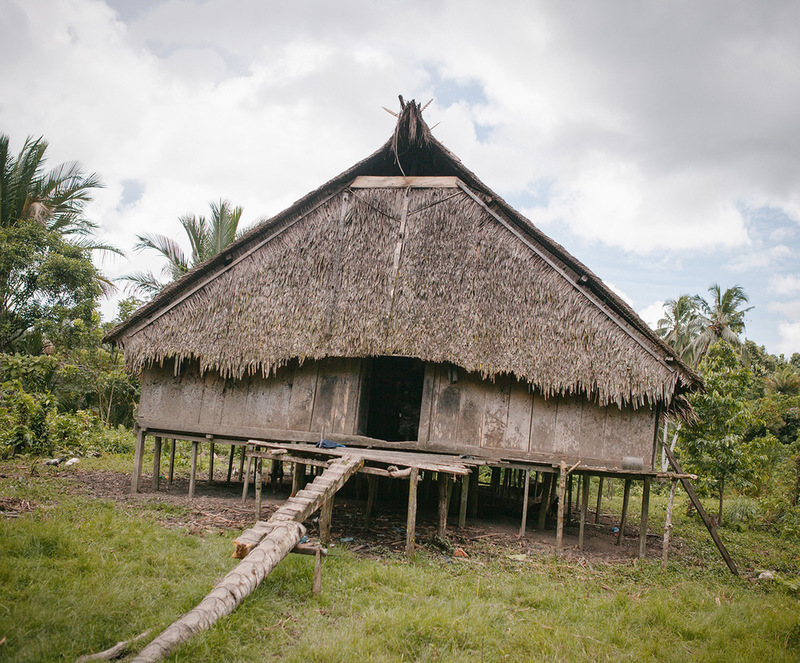 The Mentawai jungle school in the jungle near Buttui initiated by a Christian mission. 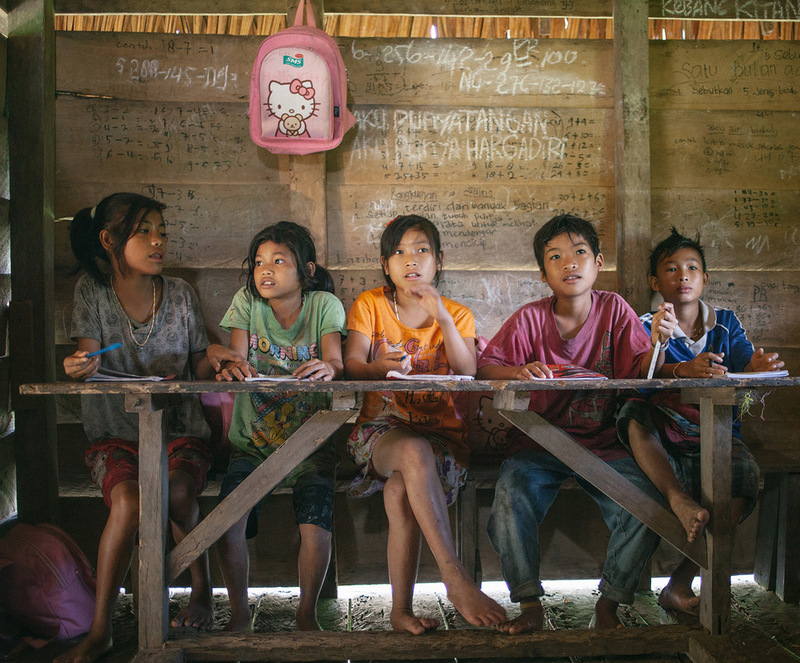 Students' writing on the wall of a jungle school, Buttui.